Posted 07/21/2016 by National Organization for Women & filed under Constitutional Equality, Legislation, LGBTQIA Rights. As a young queer person, two specific days stand out to me. Two major events in the last year have profoundly changed my life and how I live it. June 25, 2015 marked the day I was legally allowed to marry another person of the same gender via the Supreme Court ruling in Obergefell v. Hodges; June 12, 2016 marked the day that 49 people, mostly queer people of color, were massacred in an Orlando gay nightclub. Both of those events require action to preserve the human rights of the LGBTQ community, as proven by Republicans in the House of Representatives on July 12, 2016. What significance does July 12, 2016 hold? Precisely one month after the horrific Orlando shootings, a hearing was held discussing the First Amendment Defense Act (FADA), which constitutes the license to discriminate in the name of religious liberty. After attending this hearing, I left more angry than I would have ever thought possible. Under FADA, Mr. Obergefell could have been denied the right to take time off work to care for his dying husband, but marriage rights are not the only rights the LGBT community needs in order to become fully equal in this society. I can still be denied jobs, promotions, and access to services based on my sexual orientation and gender presentation. That is wrong, and FADA would make it completely legal to discriminate against me. If I qualified for housing built with federal grants through a religious housing nonprofit, I could legally be excluded from this housing built by my tax dollars. 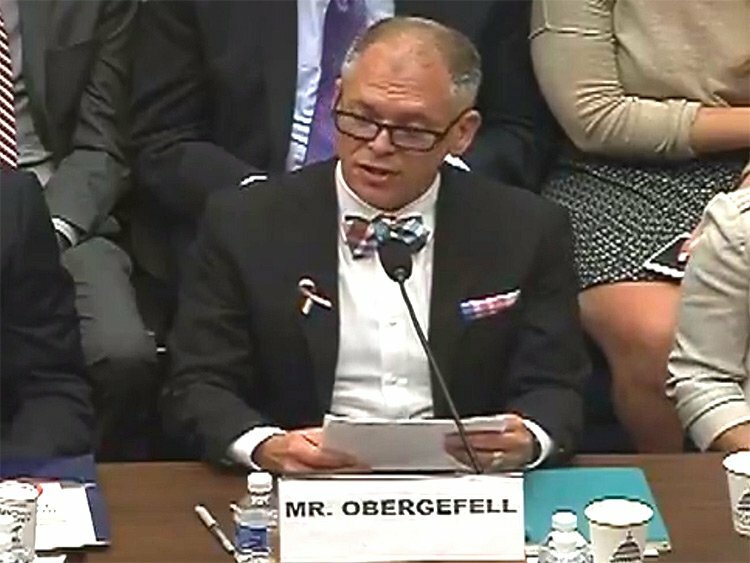 Obergefell’s testimony proves that the political is always personal to someone, and in this case, FADA is personal to me and my community. Proponents of FADA insisted that the bill would not affect any anti-discrimination or civil rights laws already in place, only adding “religious liberty” protections, a statement I found laughable. Few states have comprehensive laws that protect the LGBT community from housing or employment discrimination. The Human Rights Campaign offers an interactive map examining various nondiscrimination laws and which states offer protection to LGBT citizens in a variety of areas. This discrimination Senator Lee and Rep. Labrador are talking about does not exist. This rhetoric of discrimination used to describe the dominant Judeo-Christian ideology of “Biblical marriage” is insulting to women, people of color, non-Judeo-Christian religions, and queer people. We have fought against discrimination for centuries, and to use our rhetoric of liberation from oppression makes a mockery of what marginalized people have fought for and continue to fight for. You may be wondering why my name is not on this article. My name is not on this article because several members of my family believe in “Biblical marriage” more than they believe in my right to live as I see fit. The personal is always political, and these policies affect real people. Go ahead, make me a second-class citizen for exercising the right to marry who I choose. 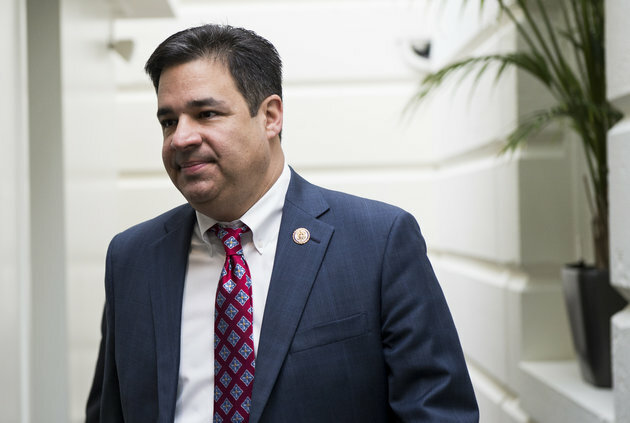 Representative Labrador, tell me there is a “climate of intimidation” against Christians and “Biblical marriage” that is far worse than anything queer people face. Tell me that when I walk past four churches on my way to school, wondering which one will have an anti-gay sign today. Tell me that when I stay in the closet at my church. Tell me that as I stay in the closet with my religious extended family. Tell me that as I reconcile my queerness with my belief in God. Tell me that as a person like me dies in a nightclub in Orlando. Go on, tell me how hard it is to discriminate in this day and age. From where I’m standing, it seems pretty damn easy. I urge you all to call, email, tweet at your Senators and Representatives and tell them to oppose the First Amendment Defense Act (H.R 2802, S. 1598). Tell them the LGBT community has faced enough. Tell them that it was offensive and wrong to hold the hearing on FADA one month to the day after the Orlando massacre. Most of all, tell them that a “license to discriminate” will not stand. Discrimination against a group of people that are basically not evil…is wrong to do. Discrimination is hurting and rude to anyone it is done to. It is used to separate some people from others.and has been used to destroy certain groups of peoples. This kind if action is wrong and needs to be stopped.